If you want to realize the farther distance connectivity than the actual length the copper cabling you already have can offer, what should you do? Much worse is that no switch is available. Don’t be nervous. The easy solution offered by media converter will be illustrated in this article. Are you poised to have a close understanding of the small device which have blown every people’s minds? Media converter is a cost-effective and flexible networking device that can connect various fibre optic cable such as multimode, single mode or single strand fibre cable and translates signals between fibre optic cabling and another type of cabling media such as cat6 Ethernet cable. If the distance between two network devices is greater than the copper cabling’s transmission distance, the fibre optic connectivity is required, and can be achieved by a media converter. Fibre connections can greatly extend the reach and reduce electromagnetic interference. Media converters were introduced to the industry in the 1990s, and played an important part of fibre types of cabling system in connection with existing copper-based wiring system. They are also used in metropolitan area network (MAN) access and data transport services to enterprise customers. There are a wide variety of copper-to-fibre and fibre-to-fibre media converters available that support different network protocols, data rates, cabling and connector types. 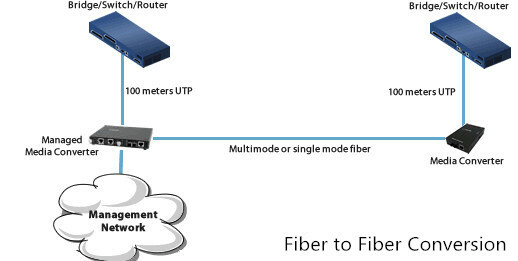 One of the key applications for fibre to fibre media converters is to connect between the two network types at the physical network layer. Fibre-to-fibre media converters provide connectivity between dual fibre and single-fibre optic cables. In addition, fibre-to-fibre media converters support conversion from one wavelength to another, including standard wavelengths (1310, 1550) and CWDM wavelengths. It can also extend a MM network across SM fibre with distances up to 140km in a cost-effective way. Fibre-to-fibre media converters are typically protocol independent and available for Ethernet, and TDM applications. Supporting the IEEE 802.3 standard, Ethernet copper-to-fibre media converters provide connectivity for Ethernet, Fast Ethernet, Gigabit and 10 Gigabit Ethernet devices. Some converters support 10/100 or 10/100/1000 rate switching, enabling the integration of equipment of different data rates and interface types into one seamless network. The copper-to-fibre conversion carried out by a media converter allows two network devices having copper ports to be connected across long distances by means of fibre optic cabling. For twisted pair ports( RJ-45 ports), they can transfer signal of SFP port into signal of RJ-45 port for transmission. 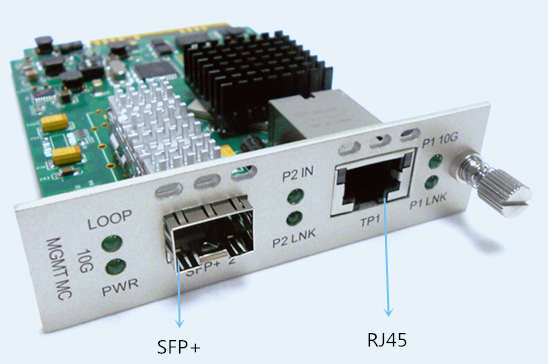 SFP port is mainly connected with upstream equipment while RJ45 port is connected to the downstream device. In the data centre, fibre media converters pose as an alternative solution for switches. Next time you are in this condition, don’t hurry to throw the copper cable away, just an easy click on FS.COM, then all mess will be eliminated. Choose a suitable media converter and it will be delivered quickly to your address. The media converter provided by FS.COM is very small so won’t occupy too much space and can be deployed in a variety of networks and applications. This entry was posted in Fiber Media Converter, Network Media Conversion and tagged cat6 ethernet cable, fiber optic cable, media converter on May 5, 2018 by Admin. Core Switch & Edge Switch: How to Make a Decision? When considering buying a network switch for your small business, you need to ask yourself a few questions: How many devices will the switch need to support? What kinds of devices will I be connecting? Has our network grown to the point where we need a switch with more advanced management capabilities? And here is an important decision you are going to make: whether core switch or edge switch for your network. What Is A Core Switch? A core switch, is also known as a backbone switch. It is a high-capacity switch generally positioned within the backbone or physical core of a network. Core switches serve as the gateway to a wide area network (WAN) or the Internet—they provide the final aggregation point for the network and allow multiple aggregation modules to work together. You use it to connect to servers, your Internet service provider (ISP) via a router, and to aggregate all switches that your company uses to connect crucial pieces of equipment that your company can’t afford to lose to downtime. As a result, your core switch should always be a fast, full-featured managed switch. What Is An Edge Switch? An edge switch also is called an access node or a service node. It is a switch located at the meeting point of two networks. These switches connect end-user local area networks (LANs) to Internet service provider (ISP) networks. Edge switches can be routers, routing switches, integrated access devices (IADs), multiplexers and a variety of MAN and WAN devices that provide entry points into enterprise or service provider core networks. 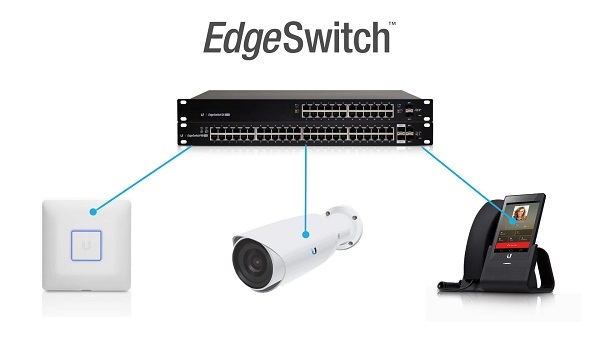 Edge switches can directly connect client devices, such as laptops, desktops, security cameras, and wireless access points, to your network. Generally speaking, a core switch would have more up-market features such as higher backplane speed, layer 3 including routing protocols such as OSPF, and physical redundancy features such as removable PSUs. They might not have any copper presentation at all. A core switch will typically have deeper buffers, such that multiple connections can be experiencing congestion. Edge switches are what your desktops and phones plug directly into (at the “edge of the network”). Typically they are lighter on features and more about copper port count and some form of fibre interface into the backbone / core. How Should I Make A Choice? A small company with fewer than 100 employees should function well with one core switch. However, as your business—and your network—grow, you might need to expand the number of core switches to two or more. In this case, you might want to consider stackable switches, which further simplify management. Edge switches generally are considered less crucial than core switches to a network’s smooth operation. If there are areas of the office such as a conference room where you don’t need the features of a fully managed switch, your company can save some money by installing smart switches. But if you can’t tolerate any downtime whatsoever, want to maintain tight security throughout your office, or have the infrastructure to be able to add multiple different types of applications in the future, you should consider outfitting your entire network with managed switches. Fortunately, managed switches are no longer out of reach for small businesses. Not long ago the price gap between managed and smart switches was as much as 40 percent. Today, though, that difference has shrunk to 10-20 percent. If you’re unsure which switch will meet your business’s needs, FS.COM, a manufacturer specializing in networking can help you choose the product that’s just right for you. Besides, we also offer other network related optic products like fibre optic transceivers, copper wires, fibre patch cable and so on. For more details, please visit www.fs.com/uk. This entry was posted in Optical Switch and tagged core switch, edge switch, managed switch on October 27, 2017 by Admin. Huawei vs Cisco Switch: Which to Choose? As we all know, Cisco System is one of the biggest multinational technology conglomerate in the world for decades. Its network devices, such as routers, switches..are popular in their customers. We can believe that Cisco will develop stronger, but new and strong competitors are arising, like Huawei. Huawei is one of the largest telecommunications equipment manufacturer in the world, having overtaken Ericsson in 2012. Both are the giants of network switch manufactures. Both switches offer more than enough bandwidth to be capable of forwarding at line rate for all ports. Both switches are designed to use the minimum amount of power possible at all times, earning them Green designations. Huawei vs Cisco: which one should I choose? Read on to know more about these Huawei vs Cisco switches. Before we cut to the chase, let’s take a look at the comparison between Cisco vs Huawei switches. Although the function of the switch is the same, different brands have different features. Now, Cisco switches have many series. The popular series, enterprise switches, are Catalyst series and Nexus switches. Cisco Catalyst series includes 2960 series, 3650 series, 3850 series, 4500E series, etc. 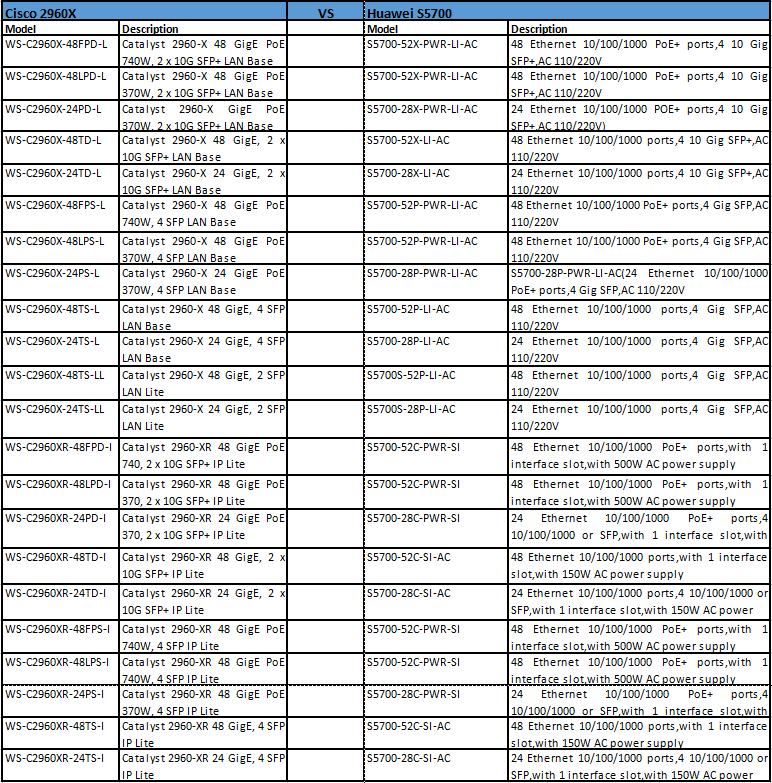 Cisco Nexus series includes 9000, 7000, etc. Huawei switches also have various series. There are data centre switches, campus switches and SOHO & SMB switches. The popular one is the campus switches. In all the campus switches, the S5700 series is the hottest switches in enterprises. Except the different series, there are also differences of their switches product code rules. Take Cisco WS-C3850-24T-L and Huawei S5700-28X-LI-AC switches as an example. 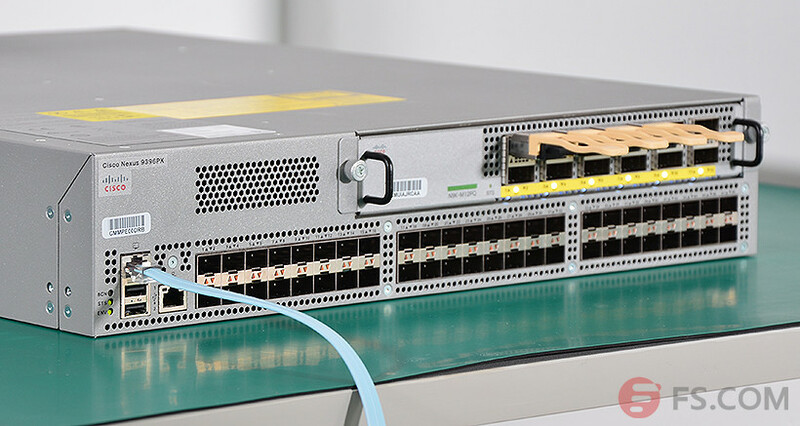 Here is a one-to-one mapping between cisco 2960x and huawei s5700 switches, covering the relationship of them and help you choose the best network switch for your need. Cisco Catalyst 2960-X Series are stackable Gigabit Ethernet Layer 2 and Layer 3 access switches that provide enterprise-class access for campus and branch applications. Designed for operational simplicity to lower total cost of ownership, they enable scalable, secure and energy-efficient business operations with intelligent services and a range of advanced Cisco IOS Software features. The S5700 series gigabit enterprise switches are next-generation energy-saving switches developed by Huawei to meet the demand for high-bandwidth access and Ethernet multi-service aggregation. S5700 provides a large switching capacity and high-density GE ports to accommodate 10 Gbit/s upstream transmissions. The S5700 can be used in various enterprise network scenarios. For example, it can function as an access or aggregation switch on a campus network, a gigabit access switch in an Internet data centre (IDC), or a desktop switch to provide 1000 Mbit/s access for terminals. FS 40G/100G switches provide high performance, increased availability, low latency and better serviceability for next-generation data centres and enterprise networks in different applications. And they also support spine-leaf network topology that leverage commoditized hardware for the best price/performance, just as shown below. Huawei vs Cisco, we can’t say which one is better than the other. Cisco switches meet the needs of organizations and offices of all sizes and sorts. As for Huawei, it has several product lines that are similar to Cisco devices, but have their own network hardware lines and IT solutions for different network demands. It all depends on what you need and of course your budget. Also as a global high performance data centre solutions provider, FS.COM provides various networking devices for your reference like optical transceiver, which is compliant with the major brand, patch lead for customised service and also Ethernet switches. This entry was posted in Optical Switch and tagged Cisco 2960X, Huawei S5700, Huawei vs. Cisco on October 12, 2017 by Admin. Managed vs. Unmanaged Switch: Which to Choose? Before we talk about managed and unmanaged switch, we should first and foremost figure out what a switch is. Switches are boxes that connect a number of other devices together on a Local Area Network (LAN) and utilise what is called packet switching to effectively forward data to and from connections. Generally, There are two types of switch—managed and unmanaged switch. Here we will discuss the differences between managed switch vs unmanaged switch and why managed switch is recommended. Manged Switch vs Unmanaged Switch: What Is the Difference? An unmanaged switch on the other hand behaves like a “plug and play” device. It cannot be configured and simply allows the devices to communicate with one another. They tend to be less expensive than managed switches, as they have lower capacity and less flexibility. Generally, they don’t see much use outside of smaller and less intensive networking environments. Managed switches are fully configurable, and can be monitored and adjusted at your discretion. Although the management method and degree of configuration varies, they are typically more expensive than unmanaged switches, but offer much greater flexibility. Manged Switch vs Unmanaged Switch: Why Choose Managed Switch? There are several reasons why a managed switch is recommended. Managed switches give you better control over your LAN traffic and offer advanced features to control the traffic. Managed switches have all the features of an unmanaged switch and additionally have the ability to configure, manage, and monitor your LAN. So this helps you to monitor and decide who should have access to your network and gives you greater control over data flow through your network. With a managed switch you can secure your network connections and also protect any unused ports on your switch. For example, if there is an unused port on your managed switch, you can disable that port or even apply MAC address filtering so as not to allow unauthorised users or devices to access the network by just plugging in. Managed switches also require additional authentication through password protection of the network. Redundancy means to provide an alternate data path to network traffic to safeguard a network in case a connection or cable fails. Managed switches incorporate Spanning Tree Protocol or STP to provide path redundancy in the network. This provides redundant paths but prevents loops that are created by multiple active paths between switches. STP allows one active path at a time between two network devices, prevents loops, and establishes redundant links as backups so that there is lesser downtime. This makes job for a network administrator easier and also proves more profitable for a business. The Quality of Service (QoS) feature of a managed switch also allows you to prioritize your network traffic by assigning a higher priority to the critical traffic. This helps to improve network performance and helps in better transmission of delay-sensitive data such as real-time voice. So by assigning highest priority to voice data you can ensure the voice packets don’t get dropped or delayed and mangled during transmission and you can hear crystal clear voice during a conversation. Port mirroring is a feature used on managed switches which helps to diagnose network problems. A Managed Switch allows you to configure Port Mirroring to send copies of traffic to a single port on the same switch for analysis by a network analyser. The network analyser then allows you to diagnose and fix problems without taking the network out of service, reducing downtime. When it comes to managed switch vs unmanaged switch, a managed switch is more intelligent and offers more control, flexibility, and features, some you may not even know you need. So if you are still undecided between an unmanaged and a managed switch, then please do not hesitate in getting in touch with FS.COM. We will be more than happy to help with your networking needs. Related Article：Managed 24 Port PoE Switch: How Can We Benefit From It? This entry was posted in Optical Switch and tagged managed switch, managed vs. unmanaged switch, unmanaged switch on September 25, 2017 by Admin. Layer 3 Switch vs Router: Which to Choose? Speaking of layer 3 switch and router, everyone may be confused about the two terms, because they both take IP packets, examine the destination address and pass the packet according to routing rules. It seems that the network switch is identical to a router in this way. Actually, they do have some difference not only in function, but also in other aspects. This article will explain how layer 3 switch vs router: how they differ from each other and a better option will be suggested for your reference. In general, a layer 3 switch (routing switch) is primarily a gigabit switch (a Layer-2 device) that has been enhanced or taught some routing (Layer 3) capabilities and it was conceived as a technology to improve on the performance of routers used in large local area networks (LANs) like corporate intranets. A router is a Layer-3 device that simply does routing only. In the case of a switching router, it is primarily a router that may use switching technology (high-speed ASICs) for speed and performance (as well as also supporting Layer-2 bridging functions). Performance versus cost—Layer 3 switches are much more cost effective than routers for delivering high-speed interVLAN routing. High performance routers are typically much more expensive than Layer 3 switches. Port density—Layer 3 switches, have higher port count. Routers on the other hand typically have a much lower port density. Flexibility—Layer 3 switches allow you to mix and match Layer 2 and Layer 3 switching, which means that you can configure a Layer 3 switch to operate as a normal Layer 2 switch, or enable Layer 3 switching as required. WAN technologies support—Layer 3 Switch is limited to usage over LAN environment where Inter VLAN routing can be performed. However, when it comes to working on WAN and edge technologies, Layer 3 Switch lags behind. Router is the front runner in such scenario where WAN technologies such as Frame Relay or ATM need to be fostered. Hardware/Software decision making—The key difference between Layer 3 switches and routers lies in the hardware technology used to build the unit. The hardware inside a Layer 3 switch merges that of traditional switches and routers, replacing some of a router’s software logic with hardware to offer better performance in some situations. Now let’s look into the scenarios when should Layer 3 switch or router be used. When Is A Layer 3 Switch needed? 1. If you need to connect your Hub rooms and make an L3 decision and more Ethernet interfaces are required for direct server form connectivity, then you can use a switch. 2. If you need to connect your inter-offices via l2 circuits by the ISP you can directly terminate the link on the switch and configure routing on the same. 3. If you need more through-put and direct access and interVLAN communication, switch is the best option. When Is A Router Needed? 1. If you are connecting an ISP directly to provide internet, then router is the box you need to deploy. 2. If you need to build tunnels between your offices (connecting 2 offices over the public internet securely ), then you need a router. 3. If you are a CE participating in MPLS configuration, then you need a router. Having explained the mechanism of Layer 3 switch vs router, I guess you’ve already have an understanding of them. Simply put, they perform the same function but each has pro’s and con’s as to limitations. Generally, Layer 3 switches are primarily used in the LAN environment, where you need routing. Routers are used in the WAN environment. These days lots of people have started using layer 3 switches in WAN environment, like MPLS. If you are looking for switches or any fibre optic cables and optical transceivers for switches, take FS.COM as a consideration. Or if you have any question about your network deployment, feel free to contact tech@fs.com for help. Related Article: Layer 2 vs Layer 3 Switch: Which One Do You Need? This entry was posted in Optical Switch and tagged layer 2 switch, Layer 3 Switch, network switch, switch vs router on September 20, 2017 by Admin. Cisco Catalyst 9000 Series Switches: What’s New? Recently, Cisco unveiled the Catalyst 9000 family, shaping the new era of intent-based networking. The Network. Intuitive. The Cisco Catalyst 9000 series switches are the next generation of enterprise-class switches built for security, Internet of Things (IoT), mobility, and cloud. These switches form the foundational building block for Cisco Software Defined Access (SD-Access). And what’s more, they also support full IEEE 802.3at Power over Ethernet Plus (PoE+), and Universal Power over Ethernet (UPoE). These switches enhance productivity by enabling applications such as IP telephony, wireless, IoT, and video for a true borderless network experience. This post will take a closer look at Catalyst 9000 switches and some highlights of them. The Cisco Catalyst 9000 series switches come in three main varieties. 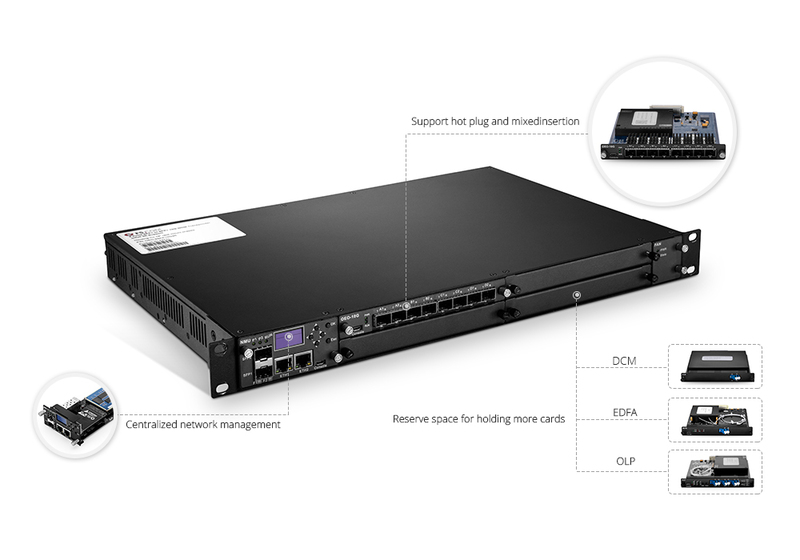 The Catalyst 9300 is top fixed-access enterprise network switch series, stacking to 480Gbps. The Cisco Catalyst 9300 switches feature a fixed number of switch ports (1G 48-port, 1G 24-port, or 24 ports of 1G/2.5G/5G/10G). The Cisco Catalyst 9400 is the leading modular-access switches for enterprise, which can support up to 9Tbps. It features 7-slot and 10-slot variety. The Catalyst 9500 is the industry’s first fixed-core 40Gbps switch for the enterprise. It comes in three different varieties, a 24 port 40G switch, a 12 port 40G switch, and a 40 port 10G switch with 10/40G uplinks. The Cisco Catalyst 9500 is meant for distribution and core use. The Catalyst 9000 series have some special design choices, which make Catalyst 9000 the industry’s most aesthetic switches. Rounded frame without sharp corners, changing the traditional switch outline. Ergonomic pullout handles on the Catalyst 9400 enable better weight distribution. You don’t have to carry it on your back or worry about breaking your back when lifting these switches! Innovative slide-out ejectors with latch on the uplink modules of Catalyst 9500. Screwdrivers can be abandoned! Molded plastic covers ejectors, screws and handles on field replaceable units. Gloves are needless! Industry standard icons now advertise the capabilities of the switch–a truly universal switch! The Catalyst 9400 chassis introduces user-configurable dual serviceable fan-tray design, allowing users to service the same fan-tray from the front and rear of the chassis. The Catalyst 9300 Series switches support a blue beacon LED for easy identification of the switch being accessed. The new Cisco Catalyst 9000 switches use an Intel x86 processor to help create a network that constantly learns and adapts. Above the feature, Cisco adopts a central software console called the Cisco Digital Network Architecture (DNA) Centre that replaced the obsolescent and deprecated command-line interface (CLI). DNA is about bringing the power of automation, ease of management, and predictable performance to networks while driving down cost. The Catalyst 9300 Series introduces new licensing packaging: Network Essentials and Network Advantage, which feature vastly simplified base network packages. Additionally, there are two licensing levels for Cisco DNA, namely Cisco DNA Essentials and Cisco DNA Advantage, which are hardware and term-based software packages used as mandatory add-ons. In addition to on-box capabilities, the Cisco DNA packages unlock additional functionality in Cisco DNA Centre (in APIC-EM), enabling controller-based software-defined automation in your network. License consumption is further simplified with the package combinations of Essentials and Advantage. The following diagram lists the supporting detailed transceiver options for Catalyst 9300 Series. Take C9300-NM-4G as an example, this module has four 1G SFP module slots. Any combination of standard SFP modules are supported. The Cisco Catalyst 9000 series switches solves some persistent challenges of enterprise networks by utilising platform innovations built around four key areas: security, Internet of Things (IoT) convergence, mobility and cloud readiness. There is no doubt that Catalyst 9000 is leading us to a new era of faster and securer network. And if you need any transceiver or cables for mating Cisco Catalyst 9000 series, please contact us via sales@fs.com. All the products offered by FS.COM are tested before shipping to ensure superior quality. This entry was posted in Optical Switch and tagged Cisco Catalyst 9300, Cisco Catalyst 9400, Cisco Catalyst 9500 on August 4, 2017 by Admin. How to Extend 40G Connection up to 80 km? As 40G connectivity is accelerating, many data centers prepare to migrate from 10G to 40G. But the link distance between 10G and 40G switches is a big challenge. This article can help you extend 40G connection distance. As we know, 40GBASE-SR4 QSFP+ is designed for short distance of up to 150m connection. 40GBASE-PLR4 QSFP+ can support long distance link of up to 10 km. Both 40G QSFP+ modules are interfaced with 12-fibre MTP/MPO and can break out into 4x10G connection. 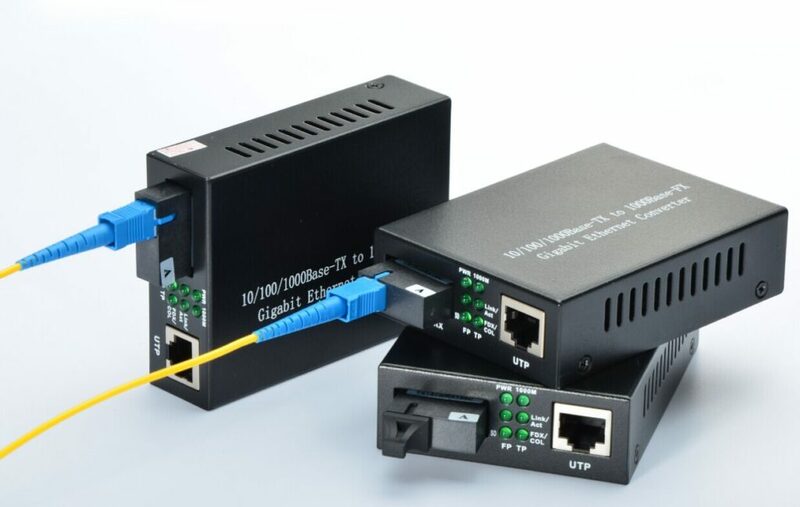 To build 10G-40G connection, for instance, using singlemode 8-fibre MTP-LC harness cable to connect 40GBASE-PLR4 QSFP+ and 4x10G SFP+ modules. As the direct connection distance between two 40GBASE-PLR4 QSFP+ optics can reach at most 10km, it’s easy to understand that the connection between 10G and 40G may be shorter. However, we provide a solution to extend 40G connection to 80km distance. Continue to read this article and find the answer. This solution applies 40CH DWDM MUX/DEMUX and some other WDM devices, which can support at most 10x40G links. 40G links will be realised through 4x10G. And the connection goes like Switch – QSFP+ SR4 – 1×4 MTP-LC harness cable – 10G SFP+ SR – OEO – DWDM 10G SFP+(The following figure would be more clear). Thus, suppose you use G.625 fibre cable and the cable insertion loss is 0.25dB/km, you can get 3dB system margin in this 80km 40G network. To extend 40G QSFP+ connection distance, we have to use WDM transponder OEO (Optical-Electrical-Optical) repeater. OEO repeater allows connection between fibre to fibre Ethernet equipment, serving as fibre mode converter, or as fibre repeater for long distance transmission. It can also function as CWDM/DWDM optical wavelength conversion. Now we will use a multi-service transport system, including a hot-swappable plug-in OEO card which only occupies 1 slot. The other space can be left for holding more cards such as DCM, EDFA, OLP. On the left side, there is a card for centralised network management. This is a 4-channel multi-rate WDM transponder with an OEO-10G card containing 8 SFP/SFP+ slots and can support up to 11.3G rate. The OEO card can convert 1G~11.3 Gbps Ethernet signals into a corresponding wavelength in CWDM and DWDM network infrastructures. Transmission distance can reach 80 km. Except WDM transponder OEO repeater, we still need DWDM Mux/Demux and DWDM SFP+ to extend the distance to 80 km. DWDM Mux/Demux is to combine 4x10G signals of different wavelengths on one single fibre so that it’s the best solution to increase network capacity and save cost. Here we use 40-channel C21-C60 dual fibre DWDM Mux/Demux. So we can choose suitable 10G DWDM SFP+ modules 80km transceiver between the wavelengths of C21 and C60. For your convenience, the following table introduces the whole equipment to realise 80km 40G connection. About the quantity and transceiver brand, you can select according to your specific needs. 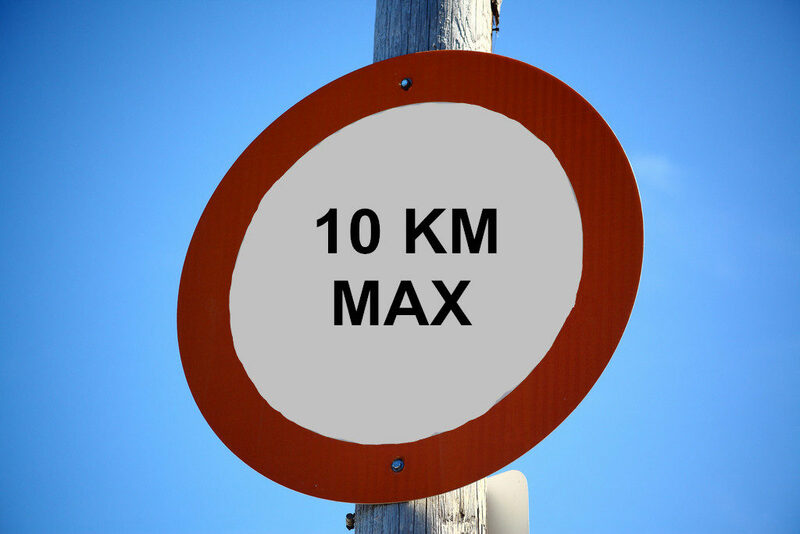 10 km transmission distance is not the limit of 40G to 4x10G connection. From this article, you can extend 40Q QSFP+ to 80 km by mainly applying WDM transponder OEO repeater, DWDM Mux/Demux and 10G DWDM SFP+. If need to break your network distance limit, please visit our site www.fs.com/uk or contact us via sales@fs.com. This entry was posted in Fiber Optic Transceivers, Optical Multiplexer and tagged 40G QSFP+, DWDM MUX/DEMUX, DWDM SFP+, OEO on April 25, 2017 by laura. How to Convert SFP+ to 10GBASE-T/RJ45? 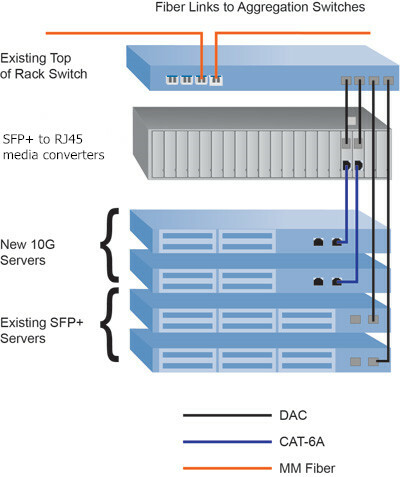 When migrating to 10G data centre, you may have two choices: SFP+ or 10GBASE-T technology. 10GBASE SFP+ interface has always been widely deployed for 10 Gigabit ToR (top of rack) witches due to low power consumption. Due to advanced technology, switch manufacturers significantly reduce the power consumption and cost of 10GBASE-T server and switch. According to some researches, the cost of 10GBASE-T (RJ45 interface) switches is much lower than that of SFP+ switches. So many users prefer to add 10GBASE-T/RJ45 switches. But the problem is how to convert SFP+ to RJ45 port. This article will to introduce a necessary optical equipment–SFP+ to RJ45 media converter. The secret to realize SFP+ to RJ45 conversion is 10 Gigabit SFP+ to RJ45 media converter. This converter has one 10G pluggable SFP+ port and one RJ45 port. SFP+ port is compatible with any SFP+ transceiver such as 10G SR SFP, 10G LR SFP and so on, which is the best suitable for your network and link lengths. 10 Gigabit SFP+ to RJ45 media converter is a cost-effective way to convert copper to fibre, or fibre to copper. Since it can deliver fast and reliable network access at longer distances than copper-based networks, it’s ideal for the applications in server rooms, workstations in remote areas or in other buildings. How to Convert SFP+ to RJ45? As the following figure shows, existing ToR switch only has some SFP+ interfaces. This switch is connected to an aggregation switch in the data centre with multimode fibre patch leads. And the servers below are connected to the ToR switch with twinax DAC cables. Now considering that 10GBASE-T servers are less expensive, we decide to add new 10GBASE-T servers to the rack. Then we face a problem: how to integrate 10GBASE-T RJ45 ports servers into the the rack? To deal with this problem, we need to add 10 Gigabit Ethernet media converters to this rack system. First, connect the media converter with existing ToR switch by inserting one end of twinax DAC cables into the SFP+ port of the 10 Gigabit Ethernet media converter. Second, connecting media converter with the new 10GBASE-T servers by plugging Ethernet patch cords (better Cat6a) into RJ45 port of this media converter and 10GBASE-T servers. As the 10GBASE-T servers are connected to 10 Gigabit SFP+ to RJ45 media converters over short Ethernet patch cords, so we can enjoy the advantage of 10GBASE-T short reach mode, which means all devices can operate at lower transmit power. Short reach mode, specified in the IEEE 10GBASE-T standard, conserves energy and produces less heat. SFP+ to RJ45 conversion may be a very common issue in 10G data centre. To solve this problem, the most cost-effective way is SFP+ to RJ45 media converter. It can bridge the interface disparities between equipment with 10GBASE-T RJ45 ports and existing rack servers or switches with fibre optic ports. FS.COM offers various high-performance 10G SFP+ to RJ45 media converters. For more product details, please contact us via email sales@fs.com. 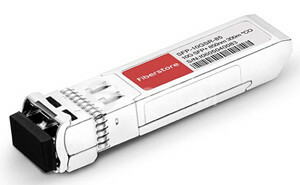 Related article: 10G SFP or 10GBASE-T SFP for 10GbE Network? This entry was posted in Fiber Media Converter and tagged 10GBASE-T, media converter, SFP+ to RJ45, twinax DAC cables on March 20, 2017 by laura. Optical networking technology has solved the problem of increasing demand for higher transfer data rates and larger bandwidths. In optical network, optical fibre is the fundamental medium of transmission. However, switching, signaling and processing functions are accomplished electronically. So optical switches are naturally developed. Optical switches are widely used for optical protection, test systems (as shown in the following figure), and remotely reconfigurable add-drop multiplexers, etc. An optical switch is simply a switch which accepts a photonic signal at one of its ports and send it out through another port based on the routing decision made. There are two kinds of optical switches, including O-E-O (optical–electrical–optical) and the O-O-O (optical–optical–optical) also called all optical switch. OEO switch requires the analogue light signal first converted to a digital form to be processed and routed before being converted back to an analogue light signal. While OOO switching is done purely through photonic means. Compared with electrical switches, optical switches have many advantages. On one hand, optical switches can save floor space and power consumption significantly. They can save up to 92 percent space and 96 percent power. If translating power savings into cost, it means 3 kw can be reduced for each rack. This can save the carrier from expensive diesel power generators, rectifiers and batteries, the monthly maintenance costs for these devices and the purchasing and maintenance of cooling equipment for these devices. On the other hand, optical switches are a lot more scalable and faster than electric switches, as all-optical switches are protocol and bit rate independent. Because of the scalability and flexibility all-optical switches have, so transfer rates will not be affected bit rate limitations of switching equipment. Despite those advantages, optical switches still have some problems. Current optical switching technology can’t realize the technology that photonic signals can be as stored as easily as electrical signals. It is possible to store them using fibre delay lines, as light take a certain time to travel through lengths fibre (200,000 km per second in silica). That means a 10000 bit frame traveling at 10G b/s requires 200m of fibre. This is both expensive and impractical. And once a signal is put through a delay line, it cannot be processed until it comes back out. A solution to this is through adding switches within the lines, but that needs more costs. The other problem with all – optical switching is that it cannot process header information of packets, especially at such high speed which the signals travel at. The maximum speed electronic routers currently can operate is at 10 Gb/s while optical signals can travel up to 40/100G or even higher. Thus, the routers will not be able to process the signals as fast as the transmission. Optical switches are widely applied in the network. First, optical switches are used in high speed network which requires very high switching speeds and also requires very large switches to handle the amount of traffic. So switches are likely used within optical cross-connects (OXC). OXC are similar to electronic routers which forward data using switches. An OXC may contain a whole series of optical switches. Second, optical switches are used for switching protection. If a fibre fails, the switch allows the signal to be rerouted to another fibre before the problem occurs. But this will take milliseconds including detecting the failure, informing the network and switching. Normally this operation requires a 1×2 switch but with complicated cross-connects hundreds may be required. Third, optical switches can be also used for external modulators, OADM (optical add-drop multiplexers), network monitors and fibre optic component testing. As the demand for video and audio increasing the challenge of data capabilities and high bandwidth of networks, optical network is absolutely the most cost-effective solution. Optical switches can provide the customers with significant power, space and cost savings. Today, the optical switch market is dominated by several companies, such as Cisco, HP, Arista, Juniper. In early days, original optical transceivers were required to be plugged into these switches. Later, to save the cost, third-party optical transceivers were produced. 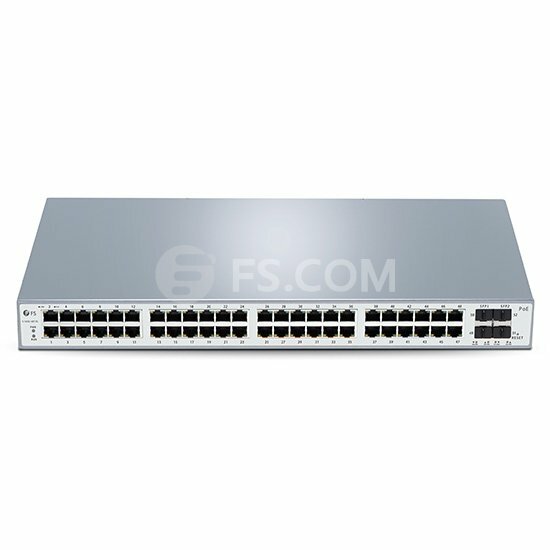 If you need optical transceivers compliant with these switches, please visit FS.COM. This entry was posted in Fiber Optic Network, Optical Switch and tagged Cisco, OADM, switch on May 27, 2016 by laura. What Are Copper to Fibre Media Converters and Fibre to Fibre Media Converters? Media converters are devices for implementing and optimising fibre links in all types of networks, making copper or fibre networks more flexible and cost-effective. Today there are commonly two types of optical media converters: copper to fibre media converters and fibre to fibre media converters. They are used for distinct purposes. Copper to fibre media converters are designed to convert the electrical signal used in copper cabling into optical light waves used in fibre cabling, making it possible to connect two dissimilar media types. In most LAN wiring, copper cabling is limited with a transmission distance about 100 metres, for electromagnetic signal characteristics hinder the transmission performance when applied over long distance. In addition, copper cabling is unsuitable to used for comprehensive backbone because it causes interface when bundled. So copper cabling is typically utilised in short distance especially within 100 metres. Thus there is a need for fibre optic connectivity when the distance between two network devices exceed the transmission distance of copper cabling. Copper to fibre media converters can extend the network connectivity by integrating two network devices with copper-to-fibre conversion. Copper-to-fibre converters are widely used for LAN administrators to integrate fibre with the existing copper wiring, satisfying a wide range of requirements in network connectivity and distance and saving great cost-savings. Fibre to fibre media converters are another kind of media converters which provide fibre-to-fibre conversion from multimode fibre to a single mode fibre. The conversion makes fibre networks more flexible. Multimode fibres and singlemode fibres are basic devices used to transmit signals and connect transceivers. The size of the “core” plays the most important role in making multimode fibre distinct from singlemode fibre. Multimode fibre is commonly used in short distance transmission with higher capacity, for its larger core allows more light to pass through at once. And singlemode fibre is used in long distance transmission because signals in multimode fibre are dispersed and attenuated especially when the transmission distance is over 100 metres. Fibre to fibre media converters can connect the two different types of fibre by fibre-to-fibre conversion, also making the transmission distance over 100 metres. Fibre to fibre media converters are essential devices applied to enhance the fibre connectivity, meeting all requirements of fibre transmission with minimizing the cost and optimising the fibre connectivity performance as much as possible. It is concluded that the above two kinds of optical media converters are the ideal solution for the demand for higher and forcing longer distance requirements within the LAN or outside the LAN. This entry was posted in Network Media Conversion and tagged copper to fibre media converters, fibre to fibre media converters, media converters, optical media converters on August 15, 2015 by Admin. Flat Ethernet Cable vs Round Ethernet Cable: Which One to Choose?